As a southern girl, I have a confession. I didn't alway like sweet tea. As a kid, I couldn't stand tea of any kind. I don't remember quite when I started liking it again; I think it's when I was being polite and took someone's sweet tea and loved it. As a kid, I think I associated tea with the unsweet stuff. Fast forward it was only a few years ago I had my first Peach Iced Tea. Now I'm addicted to this stuff. Done right this stuff is amazing. There is something about summer and peaches. Peaches have alway been my favorite fruit, and I feel in love with the Sonic Peach Tea. I think 1 week I was there every day to get a cup…. That is when I realised I needed an alternative! I tried the peach tea drink mixes you know the ones you mix in water, yeah not even close. 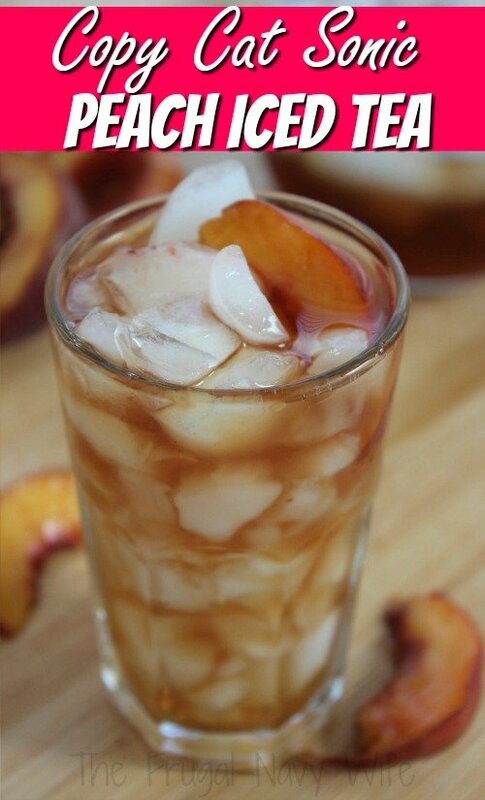 So I started making my own peach iced tea, and at one point I was trying to make this tea with peach syrup. I tried different doses and different brands and just never could get it to taste right. 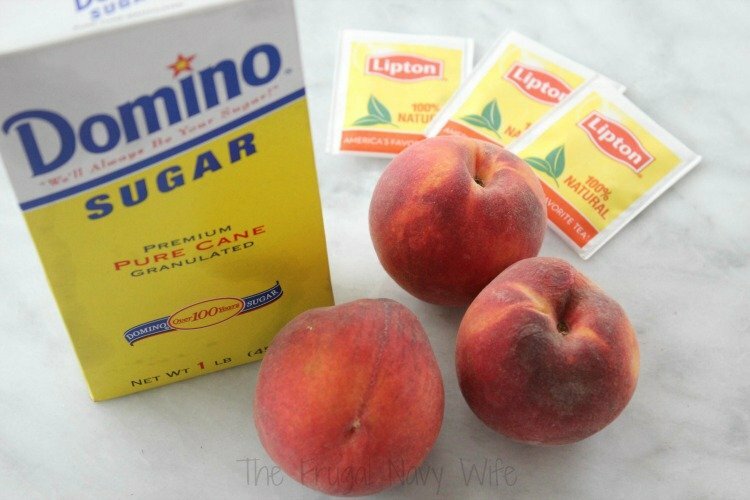 I even tried peach pancake syrup once…. yeah just don't. 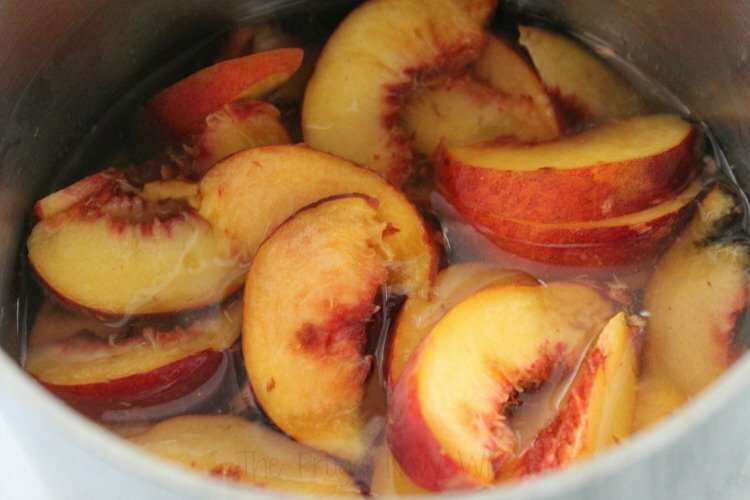 Then I found this recipe for making the peach syrup yourself in of all places one of the magazines in a doctors office! Took a picture of it and came home to try it and would you know it was what I needed! Bring syrup ingredients to boil. Then reduce heat to medium. 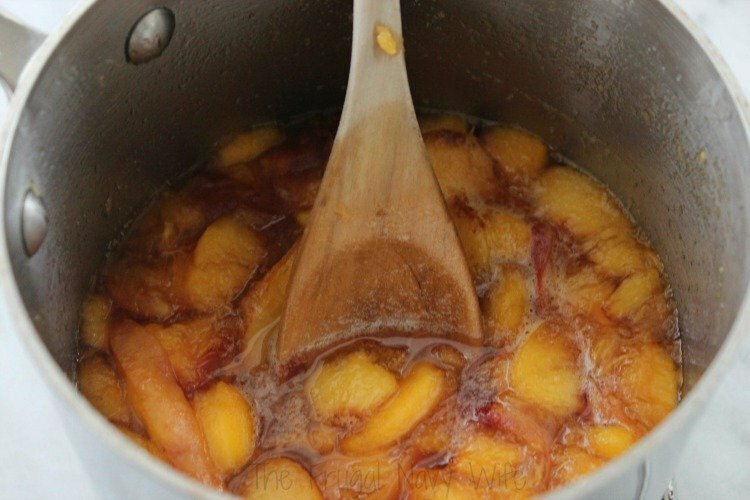 Crush peach slices as you stir to dissolve sugar. Turn off heat cover and let sit for 30 minutes. Boil water and brew tea letting steep 5 minutes. 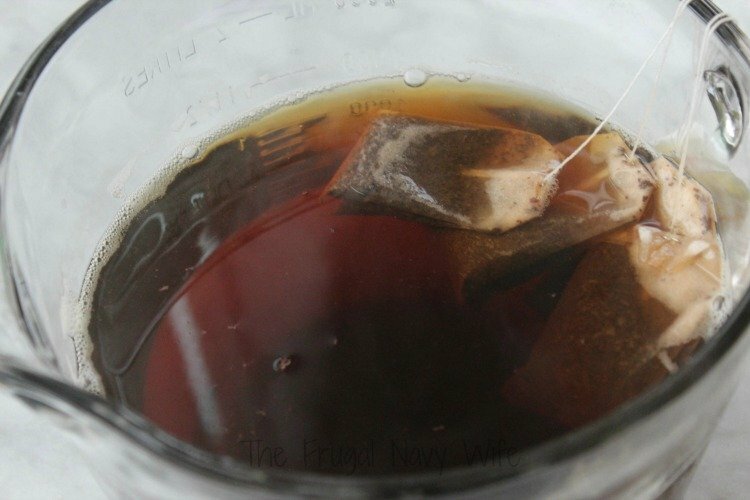 Remove tea bags and refrigerate. Strain syrup through a fine strainer to remove fruit pieces. Add syrup to tea and serve over ice.